Many of you might have experienced a migraine headache sometime in their life. This type of headache is characterized by moderate to severe pain which usually occurs on one side of the head. It is often accompanied by nausea and/ or vomiting. 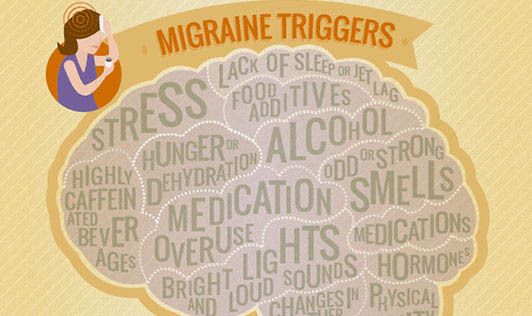 Given below is a list of migraine triggers. Some of these triggers are still controversial but all the same do affect a few people. If you are a victim of migraine headaches, you could try eliminating these triggers one at a time and find out what brings on your migraine. Or if there's a migraine trigger not listed here, do write about it so that other migraine sufferers can benefit from your experience.